Need a reason to hang out at a bookstore? Here it is. Barnes & Noble is planning four new market concept stores, including one next year at One Loudoun in Ashburn, that will offer wine, beer and food. The bookstore giant is trying out a new tactic to pull people back into its stores rather than ordering their books from its online competitor, Amazon. Barnes & Noble, which closed eight stores last year, and plans to shutter eight more next year, has rethought the bookstore format by bringing in beer and wine. The café experience is designed to entice customers and bring new opportunities for guests to host book clubs, interview for a job, or go on dates. 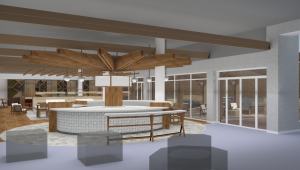 “The expanded café will amplify the in-store experience for our customers as they are encouraged to come alone or in groups,” said Jaime Carey, president of Development & Restaurant Group at Barnes & Noble. The plan is to expand the café to offer “shareable, American-style food” along with wine and beer to bring customers to the store during evening hours. They will continue to serve Starbucks’ drinks and treats, but by tapping into the dining experience, the company hopes to boost sales. That’s key, as its new offerings come months after Amazon opened its first brick-and-mortar store in Seattle, with plans to open more nationwide. 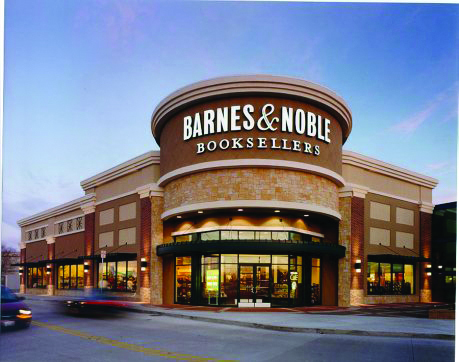 Along with One Loudoun, Barnes & Noble stores in Eastchester, NY, Edina, MN, and Folsom, CA, will also pilot the new concept. One Loudoun’s popular urban-inspired, mixed-use community may be the right place for a bookstore that offers a bit more than books. Julie Miner Dillon, vice president of marketing for One Loudoun, said Barnes & Noble’s new concept will complement the development’s existing slate of restaurants, bars and shops, not to mention the development’s anchor tenant, Alamo Drafthouse Cinema. No word yet on if the bookstore will tap Loudoun-produced libations for its booze and book concept. But that would likely sweeten the deal for Loudoun residents and visitors who seek out local brews and wines.